The pivotal sixth instalment in King’s bestselling epic fantasy saga provides the key to the quest that defines Roland’s life. Roland sends Jake to break Susannah’s date with destiny, while he himself uses ‘the persistence of magic’ to get to Maine in the Summer of 1977. It is a terrible world: for one thing it is real and bullets are flying. For another, it is inhabited by the author of a novel called ‘Salem’s Lot. Song of Susannah is driven by revelation and by suspense. 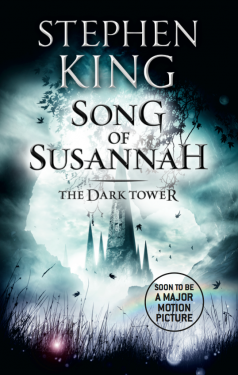 It continues The Dark Tower series seamlessly from Wolves of the Calla and the dramatic climax will leave readers desperate to read the quest’s conclusion.